Masked Hypertension: Whom and How to Screen? Topical Collection on Implementation to Increase Blood Pressure Control: What Works? To review issues regarding the practical implementation of screening strategies for masked hypertension. Masked hypertension has been associated with an increased risk of cardiovascular disease events and all-cause mortality. Recent guidelines have encouraged practitioners to use out-of-clinic monitoring to detect masked hypertension in some situations. However, it is unclear from these guidelines who should be screened or how to best measure out-of-office blood pressure. In this review, challenges to screening strategies for masked hypertension, and factors that should be considered when deciding to screen using ambulatory or home blood pressure monitoring. Masked hypertension is an important clinical phenotype to detect. Future research is needed in order to develop optimal screening strategies, and to understand population level implications of using ambulatory or home blood pressure monitoring on blood pressure control. 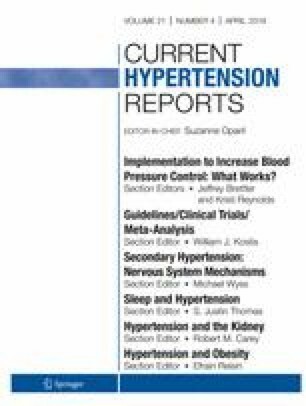 This article is part of the Topical Collection on Implementation to Increase Blood Pressure Control: What Works? MA receives support through 18AMFDP34380732 from the American Heart Association. NM receives support through NHLBI (R01 HL141609-01). IK receives support through the Agency for Healthcare Research and Quality (R01 HS-024262).